A Michigan public safety officer has made good on his promise to protect and serve the people in his community. On Oct. 4, Officer Ben Hall of Emmett Township, Mich., received a call to investigate a car in which, reportedly, an unsecured child was observed. Alexis DeLorenzo and her daughter were riding in this car with a friend. When Hall pulled them over, things didn't go as expected. When Hall walked over to the car, he saw that DeLorenzo's 5-year-old daughter was wearing a seat belt but was not secured in a booster seat. In Michigan, child safety restraints are required for children under the age of 7. "When I spoke to [DeLorenzo], she was very forthcoming and knew that the child should be in a booster seat," Hall said. He added, "She admitted that she was wrong and that she had recently fallen on hard times." "I would like to say thank you to officer Hall for his help and compassion. Last night he helped me and my family out more than he will ever know. I recently hit a financial struggle, lost my vehicle, and my childen's car seats. And last night officer Hall was doing his job and saw that my daughter was not in a car seat, and yes I know how important it is for her to be in one, he went out of his way, and out of his own pocket, and purchased my daughter a car seat. I thank God for putting you in my life officer Hall. You are an amazing man, and I will never forget the kindness and compassion you showed me, and you also showed my daughter and myself that there are people out there that care. Thank you! " The Emmett Township Police Department also acknowledged Hall's efforts, posting, "Nice job Officer Hall!!" Safety officer or not, Hall showed DeLorenzo with his selfless act what it means to help someone in need, and she hopes to "pay it forward." 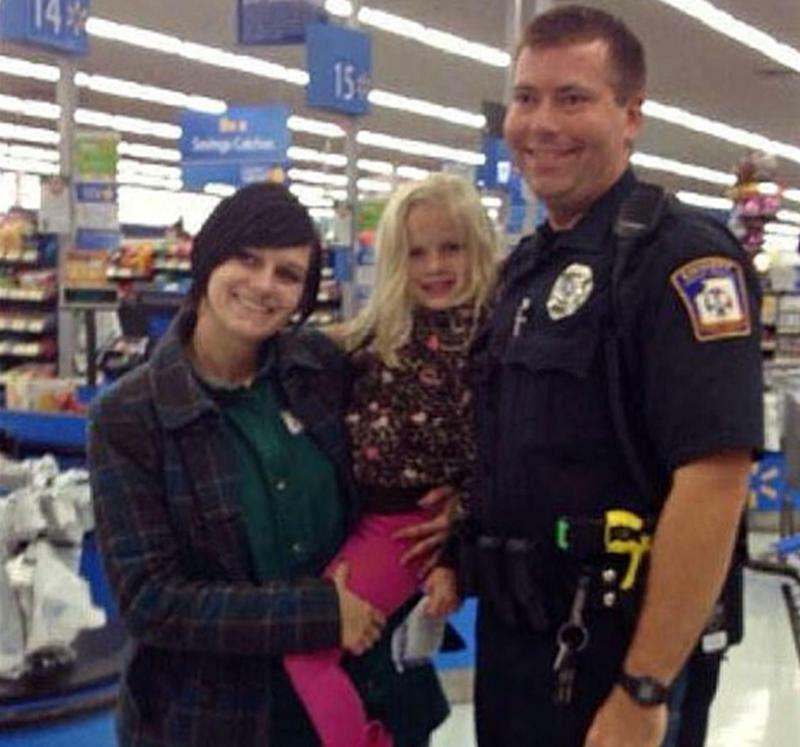 She said, "He did his job and above and beyond that, just to protect a little girl and to help a family that can't help themselves right now."